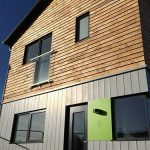 Many thanks to Urban Self Build for writing this guest blog for us this month. USB Ltd is headed up by two qualified housing development and design professionals with over 40 years of award winning experience between them. You’ll find contact details for USB Ltd at the bottom of this post. Who hasn’t thought about building their own home…? A Custom home is a home that is built specifically for you, well-designed to suit your needs, a home of high quality and low running costs; but like so many other people in the UK you may have thought, ‘fantastic idea, but that’s too difficult and expensive to achieve surely?’. …Urban Self Build makes it possible. We founded USB Ltd in 2008 because people couldn’t get an answer to the simple question, ‘Why is it so difficult to build your own home in the UK?’. We are a small developer which puts the needs of the customer at the centre of our business. Our aim is to empower self-reliant people to get involved in the way their homes are designed and delivered, allowing them to make all the exciting decisions about having a new home built for them and taking away the hassle, the hard work and, most importantly, risk of traditional self-build. The Government is backing the delivery of more custom and self built homes in the UK, with short to medium term aspirations for an additional 10,000 homes each year built this way. We think the scope in the future is for far more. When comparing the UK with wider Europe, we build only around 10% of our homes this way, compared to >45% in mainland Europe. Pictured below: Minister of State for Housing and Planning, Brandon Lewis, during his visit to Hempsted Green in February 2015, with USB Ltd owners, Simon Pugh and Ron Gibbons. We understand that there is untapped demand from people that would like to commission a new home designed and built to suit their needs without the hassle and risk associated with ‘doing it yourself’. At USB we call this ‘your home, your way’ and liken the process to how cars have been specified and built to order for many years. Custom built homes from Urban Self build are available as complete ‘turnkey’ homes ready to move into, as with any other new build home or, as a self-finish home where customers choose to finish the property themselves. Either way, all USB Ltd homes are bespoke inside and out, and come with a wide choice of options for external appearance, internal layout, kitchens, bathrooms, fittings and finishes. For more ‘typical self builders’ with skills and/or time, you can simply buy a serviced plot to design and build your own home, as long as it is done in the context of our simple design code approved by the local planning department. If you see yourself or your family as the kind of people who want individuality, quality and choice without the risk or hassle of a traditional self-build, then let’s talk. If you’re a landowner, developer or other key player in housing, want to add value, participate or invest in this exciting opportunity, then get in touch and help put the customer at the centre of housing growth in the UK. Find out more about Urban Self Build via their website at: www.urbanselfbuild.com. You can also follow USB Ltd on Twitter and like them on Facebook.